Consistently delivering the best available ways to cut your building energy costs without loss of system performance. It could be said that the vast majority of commercial and institutional building stock in Ireland today are, to use a motoring analogy, "running with their chokes out". Decades of poor energy design, installation, commissioning, tuning and/ or maintenance have rendered many buildings as highly energy-wasteful. In response to this we at Ascough Consulting Engineers have applied our technical ability and lateral thinking to generating several innovative 'first-in-industry' energy solutions. Our mechanical and electrical engineering solutions, which differ from building to building, have delivered extraordinary energy savings. A key aspect of these savings is attributable to a novel approach referred to as HCO (Holistic Controls Optimisation) that we have pioneered. HCO is a knowledge based approach that encompasses a thorough understanding of the first principles of building environmental building physics, mechanical and electrical engineering systems, user behaviour and Building Managements System (BMS) controls. We have used it to repeatedly deliver high energy savings with low capital investment. As part of the process we identify and modify system control parameters to allow real-time automated optimal control changes to building services systems that minimise the system energy inputs whilst still maintaining the necessary working conditions within the building. Where appropriate we will even reinvent the operation and control strategy of the M&E systems so that it takes best advantage of the capital investments involved. We are so confident that our Energy Solutions service will deliver excellent results that we are prepared to offer it on an Energy Performance Contract basis whereby our fee is linked purely to the energy savings that we make for you, i.e. no savings no fee! Ascough Consulting Engineer's ability to deliver unrivalled high performance energy saving solutions has stemmed from years of quality M&E Design and Project Management experience. We have gained a reputation amongst Clients and Design Teams alike for our attention to detail in delivering value based building services design solutions that meet or exceed building performance expectations within the context of aesthetic, space, acoustic or other parameters. Our holistic design approach ensures an optimum spend on building services systems today with substantial energy savings in the future. Given the nature of the current economic climate, and the fact that much capital expenditure is only made on the basis that it will bring operational cost savings, we place a particular project emphasis on our essential package of keen commercial awareness, excellent contract negotiation track record and tight cost control to deliver you that all important bottom line. Much further and ongoing benefit can be obtained after the implementation of energy savings solutions by ongoing monitoring and fine tuning of them to ensure the savings are maximized and locked down for the longer term. Ascough Consulting Engineers offer a tailored energy management service to Clients in order to maximise the operational energy savings from their existing M&E systems. We also use it as an ongoing scouting and analyses platform to establish additional cost effective energy solutions. Generally, though necessarily always, this service will follow on from a particular prior involvement that we would have had with a particular building, be it as its original M&E designers or after the provision of once off energy reduction or trouble shooting services. Where practicable our energy management service contains a remote monitoring bureau service, seasonal system fine tuning and continuous commissioning. We generally offer this service in conjunction with the once off energy solutions/ energy makeover service provided initially. The energy management process almost always leads to the identification of new energy solutions and our clients are invited to consider their implementation as they arise. Ascough Consulting Engineer's included 12 months of energy monitoring and system fine tuning as part of its post installation care programme. This is to ensure that the client obtains maximum benefit from the energy solutions implemented. 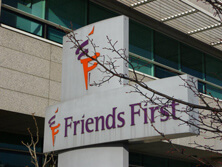 In the case of Friends First, the energy savings nearly doubled in the fine tuning period. As a result of our impressive track record in resolving technical difficulties on building services systems, we at Ascough Consulting Engineers are widely sought after to deal with some of the most technically challenging building services issues in the industry. In many cases out initial contact with commercial building owners arose out of their search for a competent engineer to deal with the challenging technical issues they encountered.